Polk State Professors John Barberet and Holly Scoggins are currently leading a study-abroad trip in Marseille, France. 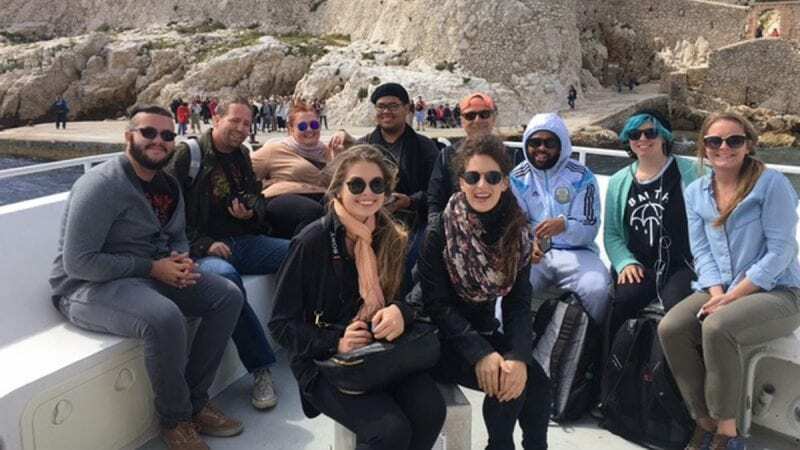 Polk State Humanities Professor John Barberet and Art Professor Holly Scoggins are leading a group of eight students on a study-abroad trip to Marseille, France. There, the students are earning credits in art and humanities, while also gaining firsthand knowledge of French culture. 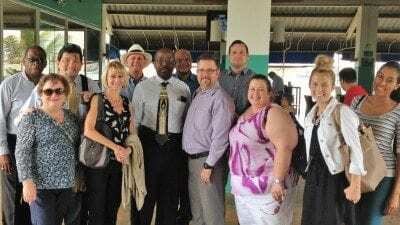 Scoggins recently sent this dispatch about the trip and all that the students are learning. The students have immersed themselves in the French culture by making friends with the locals. We greet and chitchat with the French, including the baker and minimart owner who live nearby. Humanities students have learned to use local trains, buses, boats and subways to travel to and from the city center. We have traveled from one end of the city to the other, visiting museums, Roman ruins, art galleries and restaurants. One highlight was traveling to the Château D’If, made famous by Alexandre Dumas in “The Count of Monte Cristo.” This 15th-century castle and prison sits off the coast of Marseille. When the famous mistral wind comes over the shore, the boat ride to Château D’If is very dangerous. Professor Barberet has been trying to visit this famous structure for the last five years with no luck because of the rough seas. The students enjoyed the exciting boat ride and sepnt time in the fortress drawing and painting the architecture. Another highlight of the trip was traveling to the city of Arles to visit the new van Gogh museum. The exhibition featured the artworks van Gogh created during his time in this area from 1888 to 1889. In Arles, I led my Advanced Drawing and Painting students in drawing the architecture of a Roman colosseum. We also visited the famous van Gogh café. The students have walked a lot, tried the local seafood specialties, visited artist studios, and learned to speak a little French!